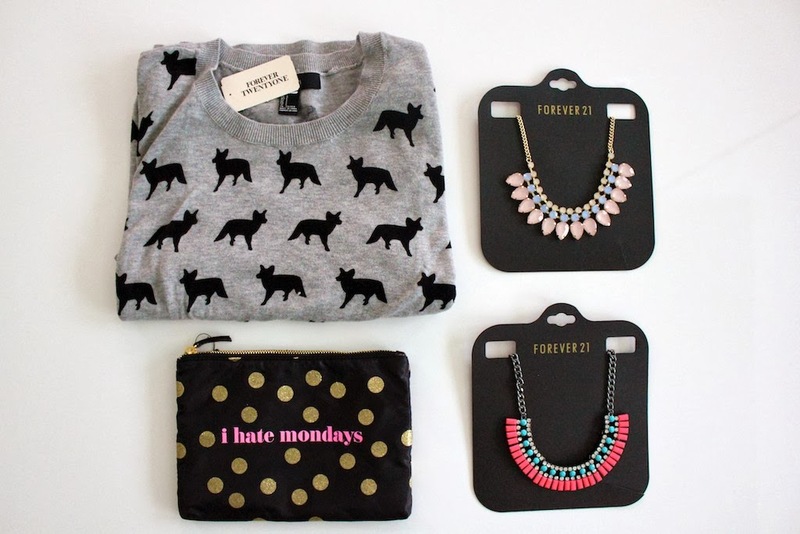 buynow/bloglater: Meeting Bryanboy + OOTD + haul! Meeting Bryanboy + OOTD + haul! Furla flew in blogger-extraordinaire Byranboy to celebrate the launch of the Spring/Summer Candy Collection and this morning, I went along to meet him. Even though the brand showcased a happy selection of colours I decided to dress like misery in lots of black, with a little bit of floral detail. I really hesitated this morning and had no idea what to wear. In situations like this I follow one mantra: when in doubt, wear Zara. The dress is really lovely - gorgeous stretchy fabric that is very forgiving. I wore it with my beloved Primark tights and Rag & Bone boots! Boots: Rag & Bone Harrow boots - Link! Bag: Alexander Wang Rocco - Link! * He does not follow trends. Well actually he sort of does. What that means is that he examines what the trends are and what everyone adopts - and then dresses in the total opposite way. * He thinks there needs to be a balance in consuming fashion. It's that age old "investment dressing" philosophy that discourages over-consumption and waste. * He does not consider himself successful because he's not convinced that he actually makes any difference to the world and people's lives. * If he wasn't a blogger he would love to be a politician for the above reason and make a truly positive impact on the world. Note to self: Do not stand under a downlighter. So friggin unflattering! Out of all the bags in the showroom I think I loved the iddy biddy Candy Mini Bag the most. I mean come on, it's so cute! After the event I guiltily ignored Bryan's advice about over-consumption and popped into Forever 21 as I was on a mission to find a necklace similar to what Ally wore in her latest video. * A jumper covered in Foxes - obviously a necessity! * A beautiful bright toned necklace - to be worn with a black shirt. So all in all it was a great morning! You look gorgeous Laura, I remember him from Americas Next Top Model. I know right? The "social media" cycle :) He's a really nice guy. what a gorgeous outfit, stunning pictures! Perfect dress!! I love it! I'm going to look for it in Zara! Love the dress, i may have to go and check around Zara now! your outfit was very cute :) love that dress and the goodies you picked up at forever21, they actually don't look like they're from forever21! Forever 21 always seem to do the best necklaces! Nice blog, you're ombre... Love it !!!!!!! Love love love the makeup bag. So cute! LOVE this ootd! and that mini bag is adorable! I LOVE this outfit and I love your hair!!! It's just… perfect. I recently started my blog and that would mean a world to me if you could visit my blog and follow me! My blog is still a little baby blog but I am going to post more! Wow! It must have been amazing to meet Bryan, I'm a huge fan of his! Those necklaces are soooo beautiful! You look lovely, amazing dress!!! Currently writing a blog post, yes I am back on it!! You would be proud..hope you are well hun! Btw hoping to come to Dubai soon, perhaps a shopping trip/tour guide session is in order?! Do you have the Rocco with the rose gold hardware or gold? It's hard to tell in the pictures.